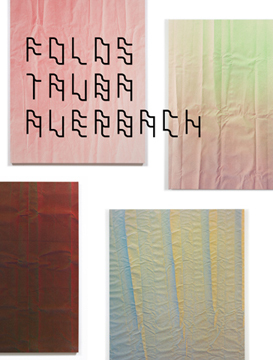 In connection with Tauba Auerbach’s exhibition “Tetrachromat” at Bergen Kunsthall, Folds presents Auerbach’s eponymous painting series for the first time in book form. In these paintings Auerbach twists and folds the canvas before applying the paint. In its stretched form the flat canvas conjures a trompe l’oeil rendering of its previous three-dimensional state. Transferred to the medium of the book, the paintings are presented here in a new and unexpected way alongside mathematical diagrams and three texts. Auerbach works with a number of printed media, and the book enjoys a quite central position in her oeuvre: from highly sophisticated book sculptures that are somewhere between physical objects and non-narrative books, to a series of individually made artist books—most recently [2,3] (2011), a pop-up book where six detailed paper sculptures emerge from the book’s pages. The catalogue features essays by Carol Thomson (author), and contributions by Edward S. Spriggs, Rene Paul Barilleaux, Michael Rooks and Manthia Diawara. 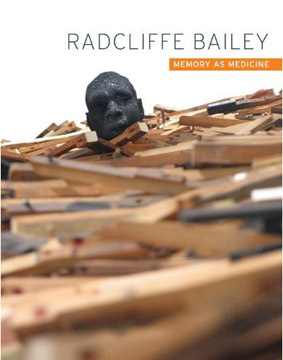 This book offers the first mid-career survey of work by American artist Radcliffe Bailey. 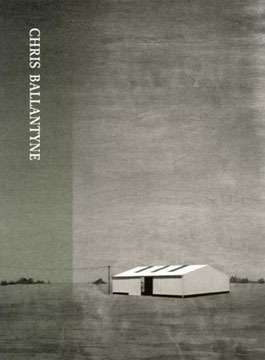 The volume reproduces more than 70 works, many of which have never been published before, and considers Bailey's work in a major essay and four shorter discussions. In these large- and small-scale pieces Bailey explores ideas of ancestry, race, memory, struggle, and sacrifice, including the artist's own engagement with African sculpture in connection with an investigation into his family's DNA. 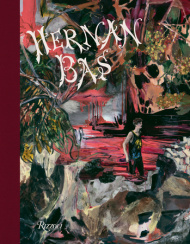 Written by Hernan Bas, Contribution by Jonathan Griffin and Nancy Spector, Introduction by Christian Rattemeyer. This book chronicles the work of this young figurative painter, whose moody portraits reflect the youth of contemporary culture. Hernan Bas is known for his overgrown landscapes and intimate figurative portraits of beautiful boyish and hip young men. With a style that is energetic and gestural, his work nods to abstract expressionism yet remains contemporary in feel. His pieces are romantic and often uncompromisingly sexual, with dark narratives or open landscapes. A soft palette is met with the gorgeous contrast of unpredicted dark hues and vibrant colors, while his loose brushwork creates intricate textures. This lavish monograph is the most complete book devoted to Bas's career thus far, focusing on his paintings, film stills, and illustrations. 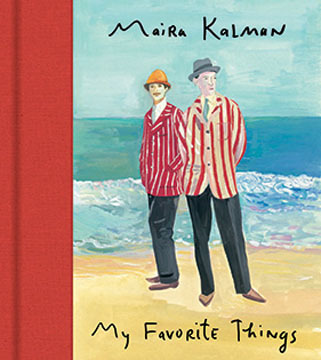 With over 200 color plates and with texts by Christian Rattemeyer, Jonathan Griffin, and Nancy Spector, this gorgeous volume presents the intricate and sensuously delightful work of this up-and-coming artist, whose work personifies epic romance by embracing both the decadence and nastiness of pleasure. 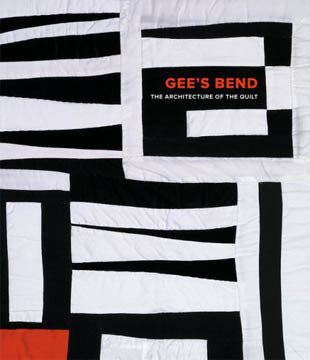 In 2002, Gee’s Bend burst into international prominence through the success of Tinwood’s Quilts of Gee’s Bend exhibition and book, which revealed an important and previously invisible art tradition from the African American South. Critics and popular audiences alike marveled at these quilts that combined the best of contemporary design with a deeply rooted ethnic heritage and compelling human stories about the women.Gee's Bend: The Architecture of the Quilt is a major book and museum exhibition that will premiere at the Museum of Fine Arts, Houston (MFAH), in June 2006 before traveling to seven American museums through 2008. The book's 330 color illustrations and insightful text bring home the exciting experience to readers while displaying all the cultural heritage and craftsmanship that have gone into these remarkable quilts. Over his forty-year career, artist McArthur Binion has developed a unique visual language through the fusion of Minimalism and personal narratives. 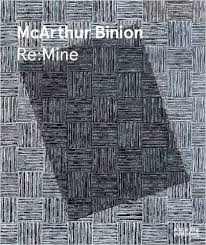 This monograph, Binion’s first, is produced in conjunction with the artist’s inaugural solo show at a New York gallery and on the occasion of his exhibition Re:Mine at Galerie Lelong. The paintings of Squeak Carnwath (American, b. 1947), often subtly illuminated by meticulously applied layers of glaze, embody complex layers of meaning. "Paintings are not ordinary objects," the artist observes. "Painting is a carrier of meaning, of human touch. 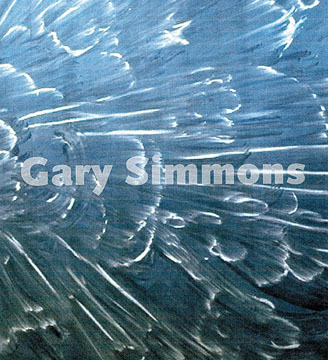 Each brush stroke or smear of pigment is freighted with philosophical inquiry." In Carnwath's works, rows of writing are placed to slow the eye, "to put the viewer in real time." Recurring motifs touch on personal and universal themes, from a rabbit tentatively seeking its place in a chaotic world to the seated blue Medicine Buddha, healer of ills and reminder of the latent Buddha nature in each of us. 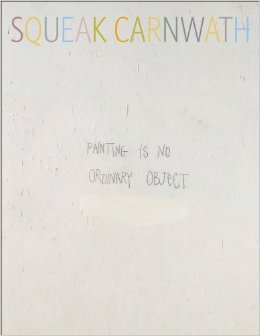 Published in conjunction with the exhibition organized by the Oakland Museum of California, Squeak Carnwath: Painting Is No Ordinary Object celebrates the wonder and spirit embodied in each of Carnwath's works. Over eighty full-color reproductions trace the development of the artist's distinctive style from the 1970s to the present, while essays by curator Karen Tsujimoto and art critic John Yau explore the personal, social, and artistic context of this powerful body of work. 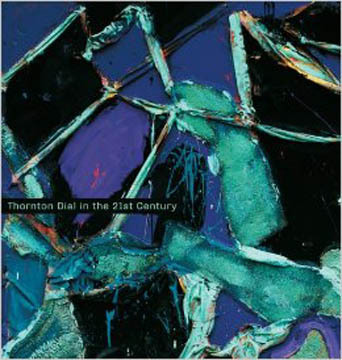 Celebrating Thorton Dial's contributions to American art, this book surveys the career of one of our most original contemporary artists, whose epic work tackles the most compelling social and political issues of our time. Born in poverty in Alabama, Dial has lived his entire life in the American South, and his art, informed by decades of struggle as a black working-class man, reveals a unique perspective on America's most difficult and pervasive challenges, such as its long history of race and class conflict, the war in Iraq, and the 9/11 tragedy. 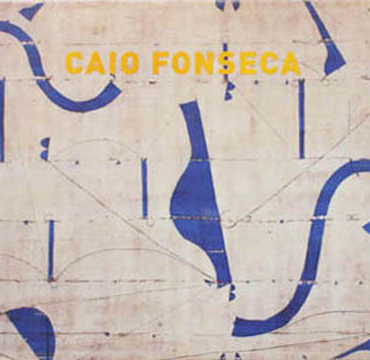 This monograph includes reproductions of 70 of Dial's large-scale paintings, drawings and found object sculptures spanning twenty years of his artistic career. Drawing inspiration from the rich symbolic world of the black rural South and with no formal education, Dial has developed a truly distinctive and original style. Incorporating salvaged objects in his work-from plastic grave flowers and children's toys to cow skulls and goat carcasses-he creates highly charged assemblages combined with turbulent fields of expressionistic painting. With commentary from historian David Driskell, cultural critic Greg Tate, and art historian Joanne Cubbs, this volume brings long-overdue recognition to Dial's remarkable career and offers audiences an unprecedented look into the creative world of this important artist. 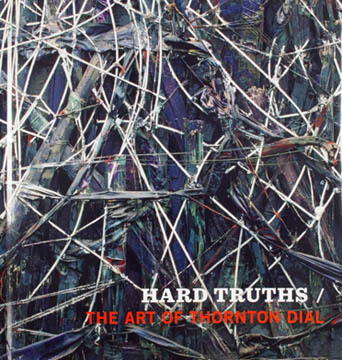 Self-taught African American artist Thornton Dial (born 1928) is an acclaimed, original artist. This tribute to his work includes nearly 150 images and focuses on his post-9/11 output, including a haunting suite inspired by that event, homages to his famous friends the Gee’s Bend quiltmakers, and pieces drawing on his memories of an impoverished Southern childhood. The book also has a rich overview of Dial's pre-9/11 work. An in-depth biography and contextualizing essays by leading art historians shed new light on Dial's life and work. Thornton Dial (b. 1928), one of the most important artists in the American South, came to prominence in the late 1980s and was celebrated internationally for his large construction pieces and mixed-media paintings. It was only later, in response to a reviewer's negative comment on his artistic ability, that he began to work on paper. And it was not until recently that these drawings have received the acclaim they deserve. 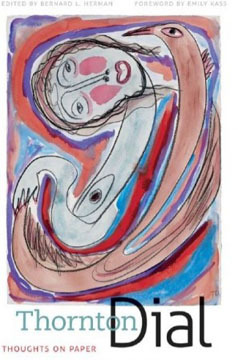 This volume, edited by Bernard L. Herman, offers the first sustained critical attention to Dial's works on paper. Concentrating on Dial's early drawings, the contributors examine Dial's use of line and color and his recurrent themes of love, lust, and faith. They also discuss the artist's sense of place and history, relate his drawings to his larger works, and explore how his drawing has evolved since its emergence in the early 1990s. Together, the essays investigate questions of creativity and commentary in the work of African American artists and contextualize Dial's works on paper in the body of American art. Using well-known films, videos, and photographs, Ezawa explores the appropriation and mediation of current events and images. 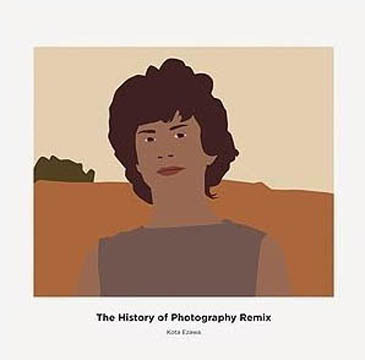 The History of Photography Remix draws on important art and documentary photographs made throughout the history of the medium. A chronological survey of 20 years of painting, both figurative and abstract. Lonnie Holley (born 1950), acclaimed by The New York Times as "the Insider's Outsider," is best known for his assemblage sculptures incorporating natural and man-made materials, often cast off or discarded; he has recently also begun to make music, through the Dust-to-Digital label. Legendary for his environmental assemblage that spread over two acres of his property in Birmingham, Alabama-now destroyed-Holley scavenges and repurposes found objects in the service of a personal philosophy of renewal and rejuvenation. This is the first monograph on Holley's work in more than a decade. 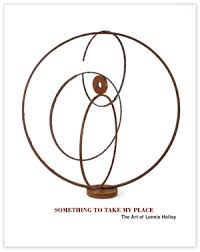 Illustrated with reproductions of more than 70 of Holley's sculptures, it provides a comprehensive overview of Holley's art, life and philosophy, with essays by Mark Sloan, Leslie Umberger, Bernard L. Herman and an "as-told-to" autobiography recorded by noted oral historian Theodore Rosengarten. American artist Chris Johanson (b.1968) has built a loyal following with his vibrant and sometimes hilarious take on the universe and our place in it. 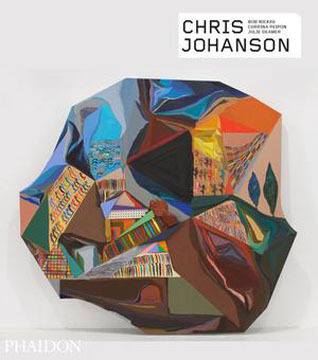 This is the most comprehensive and up-to-date monograph on Johanson’s work, produced in close collaboration with the artist. Johanson’s idiosyncratic paintings, drawings and sculptural installations portray the contemporary human condition with sincerity and wit. American sculptor Martin Puryear (b. 1941) creates work that combines the clean elegance of minimalism and the simplicity of traditional materials. His stunning sculptures explore themes of identity, ethnicity, and history, and are rich with social and cultural commentary. Puryear, who is known for abstract, large-scale pieces in wood, stone, and bronze, has captured the attention of the art world for the past 30 years. Despite the apparent simplicity of his works, however, he engages in an extensive iterative process that has, until now, been unknown. 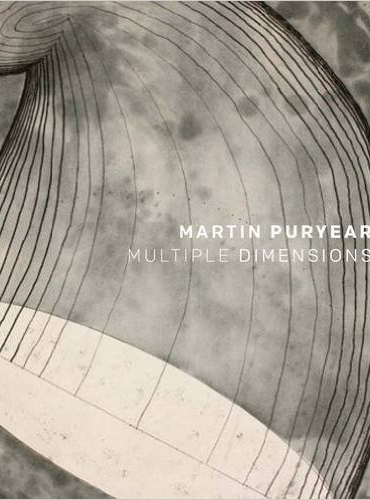 Martin Puryear: Multiple Dimensions explores that process, featuring numerous drawings, prints, and small-scale sculptures that have never before been published. This catalogue is the first to examine Puryear’s work across media, providing invaluable insight into his visual thinking, from sketches to working drawings and constructions for sculpture. Handsomely illustrated with nearly 120 color plates that demonstrate the evolution of Puryear’s ideas between drawings, prints, and sculptures, this beautiful volume draws back the curtain on the methodology of this important and enigmatic artist. This overview of Simmons's 20-plus year career brings together for the first time his photographs, installations, public projects, sculpture, drawings and paintings. 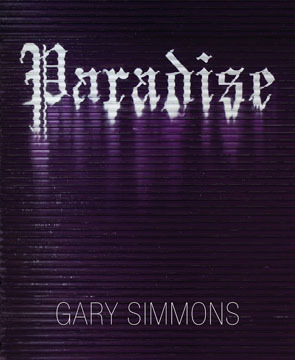 This catalog, the first published on the artist's work, focuses on Simmons' work since the mid-1990s.